We were recently approached by a customer looking for two gaming computers with a total budget of £2000. They wanted gaming computers with great performance and striking looks. 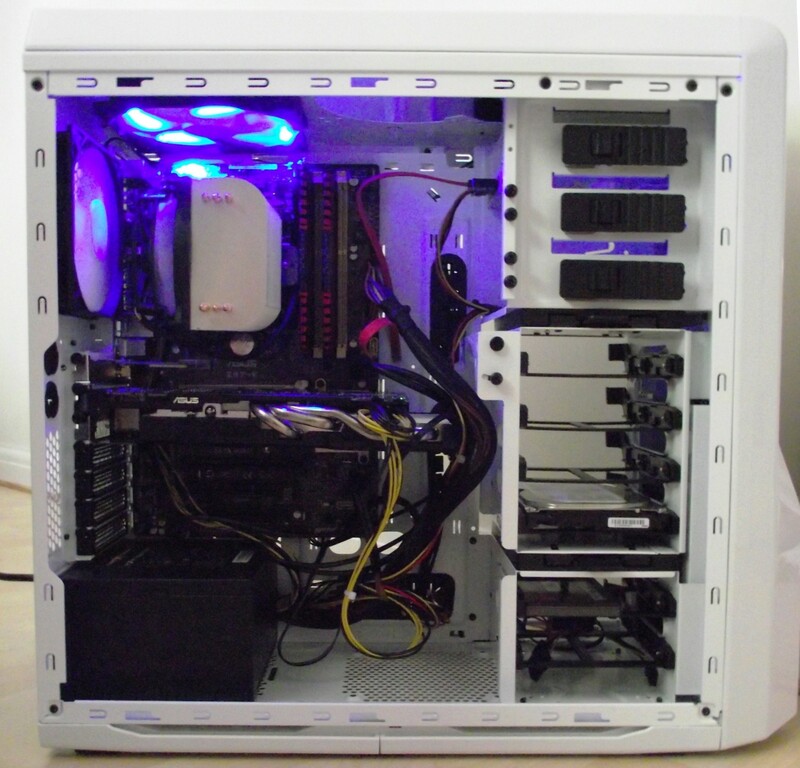 The obvious choice of components would have been an Intel i7 processor, a high end NVIDIA graphics card and a ton of RAM, but this puts the computer well over budget. Instead we opted for components that would give the best performance under actual use by the customer. 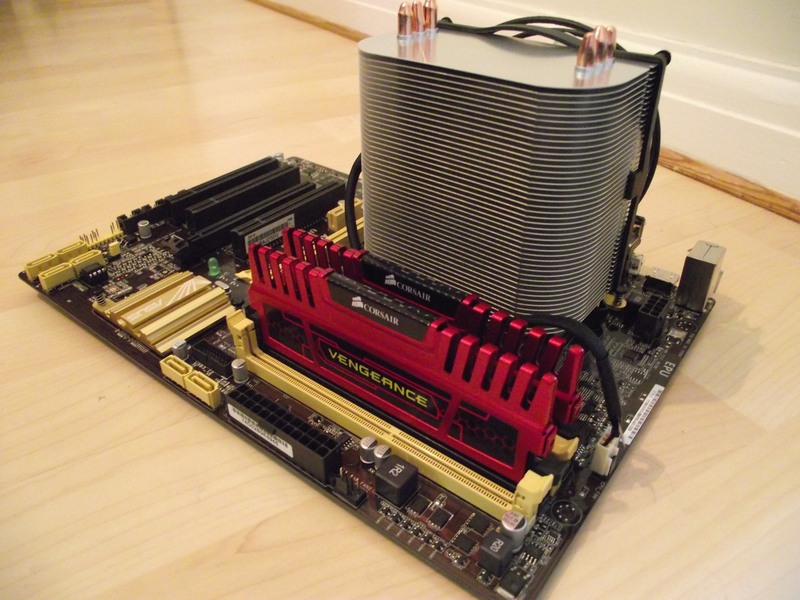 Firstly we decided to use the latest generation of Intel processors, fitting the top end i5-4670 Haswell processor. With 4 cores and no hyper-threading, the single core speed is actually faster than the latest i7 processors, which would only outperform the i5 if more than 4 cores are required, and for our customer they wouldn’t be. For the RAM we decided that 8GB would be sufficient, but left 2 of the 4 slots free so that this can easily and cheaply be upgraded in future when necessary. We did however install Corsair Vengence Red RAM due to the low latency and low voltages, which allow for more stable overclocking and faster speeds. 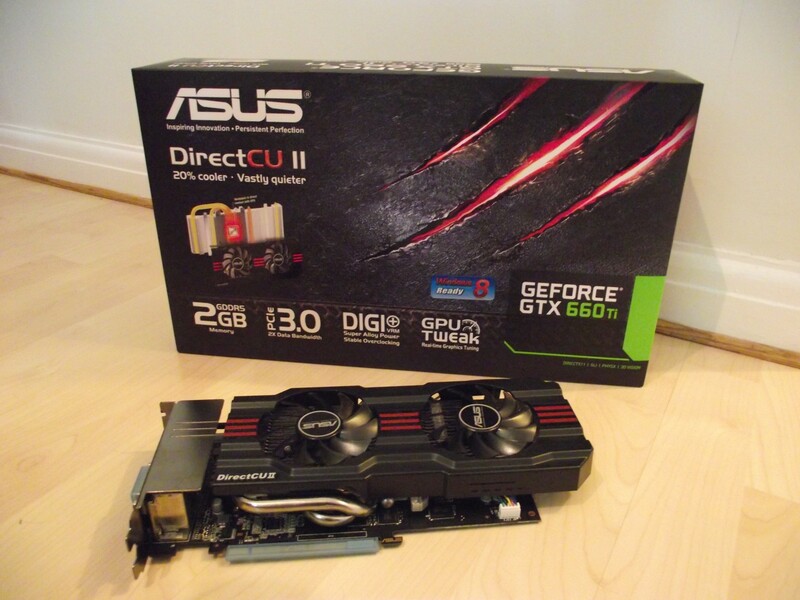 For the graphics card we opted for the NVIDIA GTX 660 Ti, which is a very good graphics card for gaming, scoring well on both in-game tests and benchmarks. As we were building gaming PCs we spent a significant proportion of the budget on the graphics cards as this is definitely going to be the key component under load. For storage we chose to use a 120GB solid state hard drive as the primary drive, with an additional 1TB hard drive for storage. Although not essential for running games on max setting, it does mean that games open, load and save at lightning fast speeds as well as allowing the PC to boot up in a matter of seconds; no one likes waiting around for their PC to boot up or the game to load. 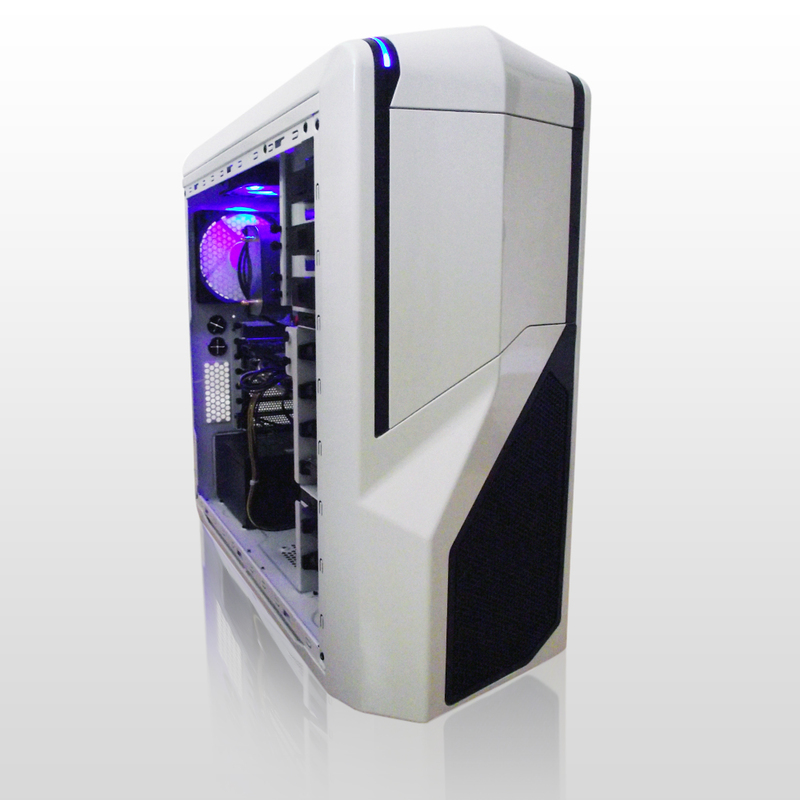 Finally we assembled the components in the eye-catching and award winning NZXT Phantom 410 cases. The final PCs looked great and performed very well – our customer was very impressed.